When you run a business, time is money and missing a deadline isn’t an option. That’s why you need to trust that the shipping methods you choose will get your goods to where they need to go on-time, every time. If your business focuses on the domestic market then expedited domestic air shipping is one of the best ways to move your goods efficiently and reliably so you can trust that they will make their journey on deadline. 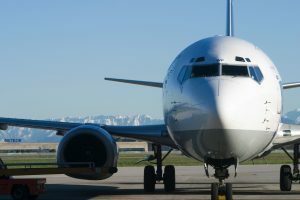 Learn more about the benefits of expedited domestic air shipping and how AFP Global Logistics can handle all of the details in this week’s blog, below. Get your goods where they need to be with expedited domestic air shipping. No matter what time of the year it may be, expedited domestic air shipping will ensure your goods make it where they need to be. That means you don’t have to worry about a holiday or weekend throwing a wrench in your timeline. With access to vetted drivers, thousands of domestic flights, and state-of-the-art technology, AFP Global Logistics can ensure that your expedited shipping needs are met reliably and affordably. This entry was posted on Friday, June 17th, 2016	at 1:34 pm	and is filed under Domestic Shipping	. You can follow any responses to this entry through the RSS 2.0	feed. Both comments and pings are currently closed.